SAN FRANCISCO—Photographer Hiroshi Sugimoto found beauty in what others might see as destruction. Working late into the night, as the wind and rain of Hurricane Sandy swirled outside the windows of his Chelsea studio, Sugimoto watched as the Hudson River encroached on Chelsea. 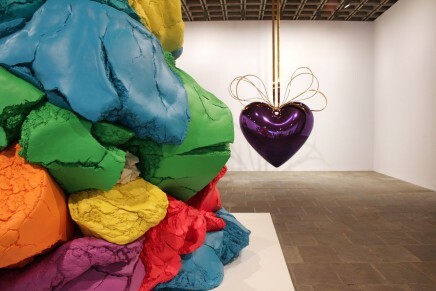 The 2012 super storm devastated countless galleries in the New York City neighborhood, flooding exhibition spaces and compromising inventory, including his own. 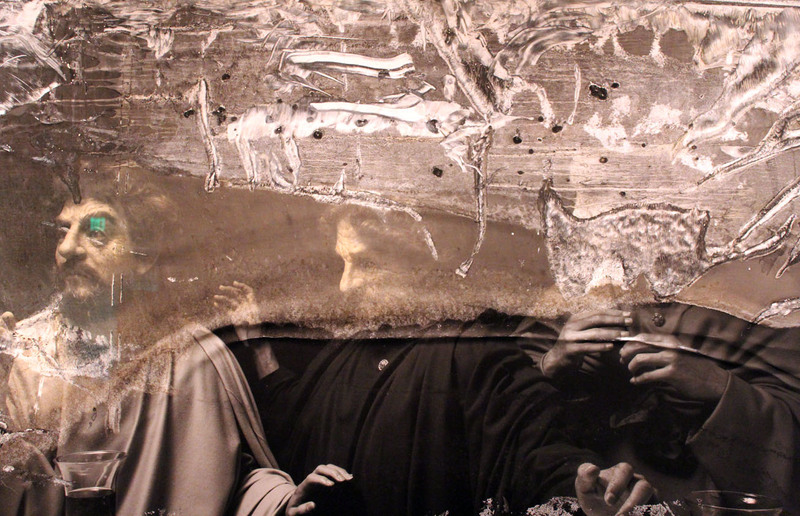 The next day Sugimoto found that his underground storeroom had flooded, damaging his photography. Three days of pumping were required before he could access his work. 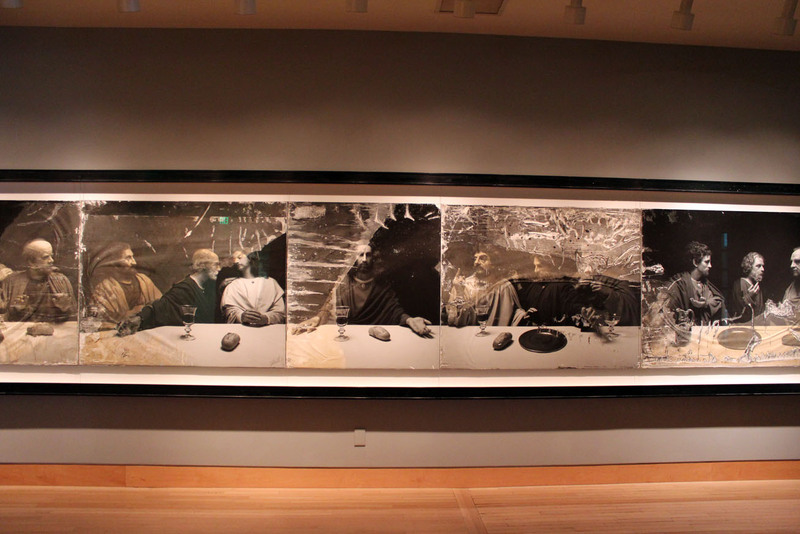 “The Last Supper,” a five-panel photograph he created in 1999, suffered greatly. It took months for the silver gelatin print to dry and it remains marred by ripples, warps and discolorations. 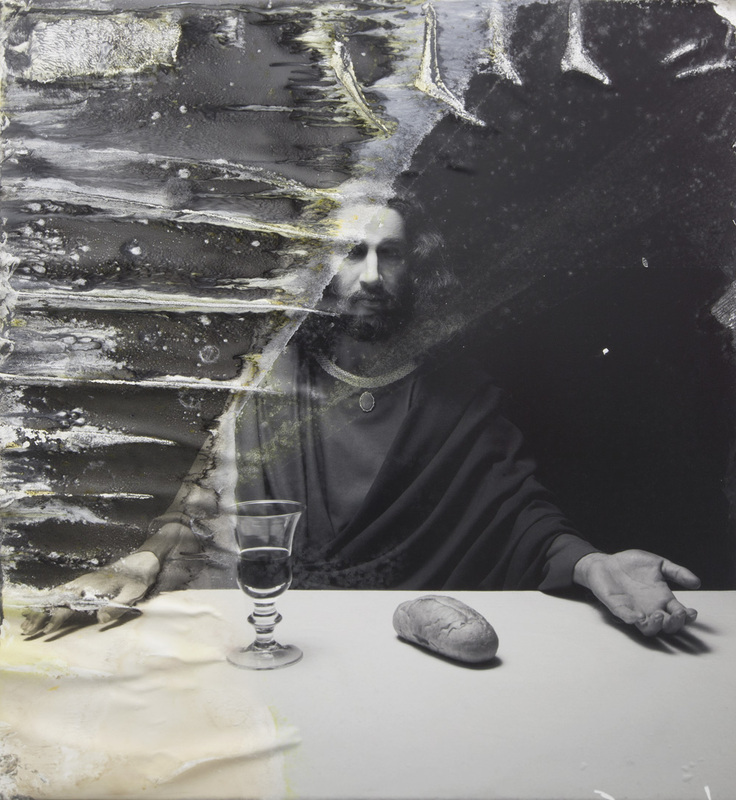 “Throughout the drying process, I took daily enjoyment in seeing how the expressions of the twelve apostles changed,” Sugimoto writes in the display copy at Fraenkel Gallery, where “The Last Supper: Acts of God” (1999/2012), complete with its beauty marks, wear and tear, is currently on view. Sugimoto lives and works in New York and Japan. The exhibition, the first U.S. presentation of “The Last Supper: Acts of God,” is on view at Fraenkel Gallery from May 1 to July 2, 2014. 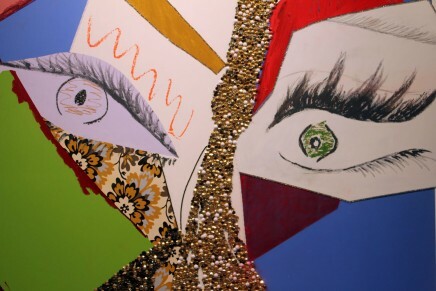 Detail of first two panels. 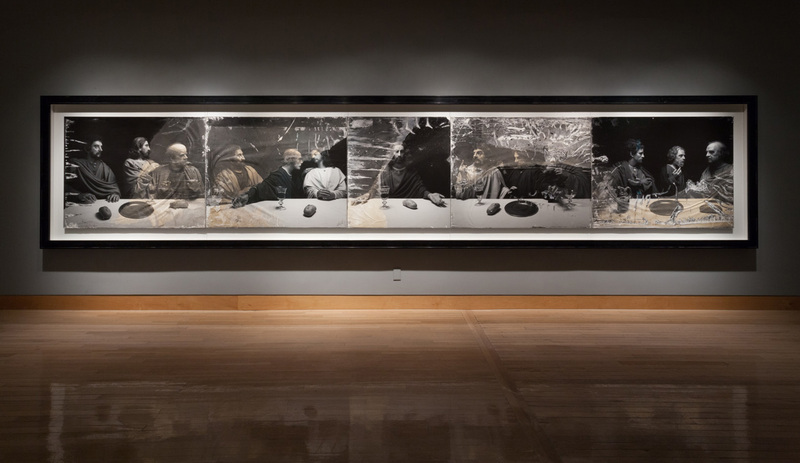 Hiroshi Sugimoto originally created the image in 1999. 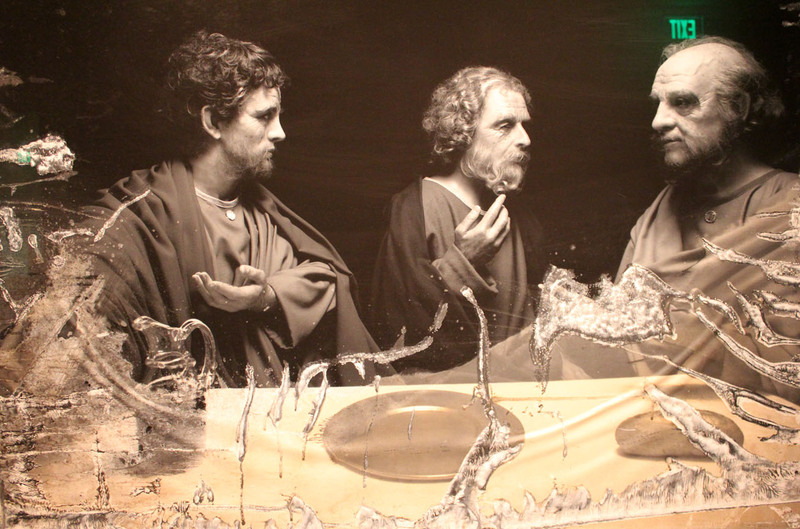 It’s a photograph of a life-size wax reproduction of Leonardo’s The Last Supper, an installation at a museum in Izu, Japan. 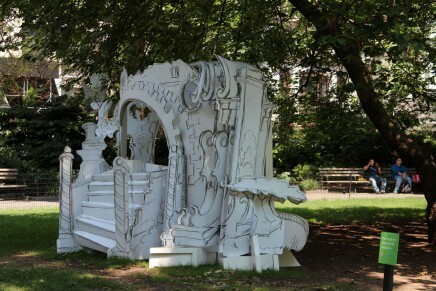 The five-panel work is more than 24 feet long. I chose to interpret this as the invisible hand of God coming down to bring my monumental, but unfinished Last Supper to completion. 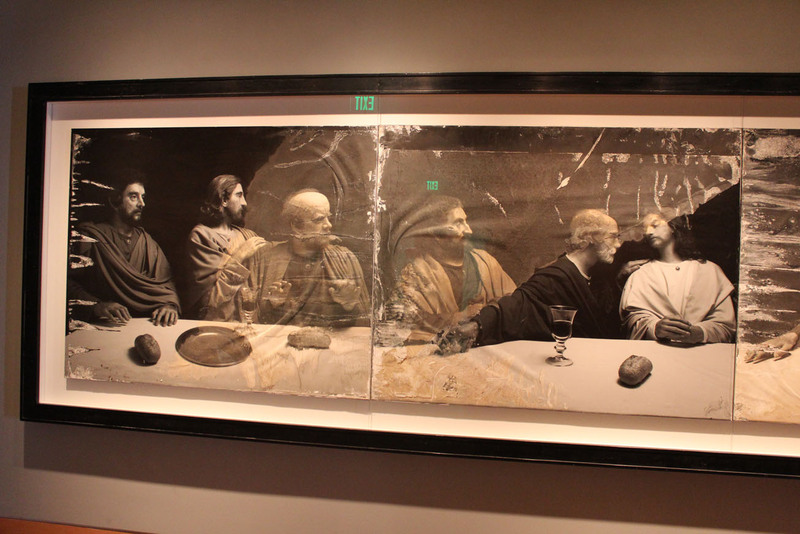 Leonardo completed his Last Supper over five hundred years ago, and it has deteriorated beautifully. I can only be grateful to the storm for putting my work through a half-millennium’s worth of stresses in so short a time.